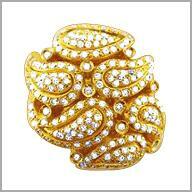 14K Paisley Design Diamond Pave Ring,1.3675ct diamonds. A creative and modern ring that is sure to please. 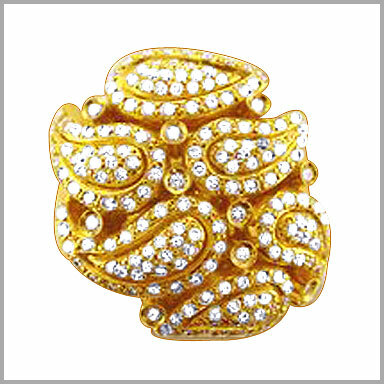 Crafted in polished 14K gold, this paisley design ring is covered with round cut diamonds in bead settings with round cut diamonds bezel set as accents. There are 181 diamonds for a total diamond weight of approximately 1.35ct. The setting size is 7/8" x 15/16" with a height of 5/16".